To the Native American people, especially those who lived on the Northern Plains, the buffalo was an important symbol of resourcefulness and an animal that was used for all of its parts. Buffalo hide paintings were an important part of the Plains Indians’ culture, both as a practical item and a decorative ceremonial one. Ornately designed to depict important and memorable tribal events, buffalo hide paintings were a beautiful addition to a family’s history. 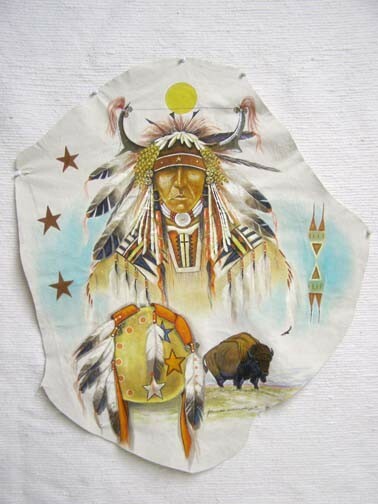 In some tribes, only one buffalo hide was painted each year – to symbolize the most important event to have occurred during this time. They were also used to promote healing and health, and were often worn by women who wanted to have children, as well as the sick and elderly. The exact symbols painted onto each hide had deep meaning and specific purpose. Traditionally, men and women wore different style hides, with the men’s hides used to display their most important deeds in battle and the women’s designed with symbols of health and fertility. Hide paintings are also hung in the home as a way to celebrate and remember Native American culture. Here at Kachina House, we offer Native American hide paintings as well as a wide array of other art and craft pieces designed and developed by Native artists and craftspeople. An Apache sweat lodge scene and a Hopi Buffalo Warrior Hide are two beautiful items in our current collection. 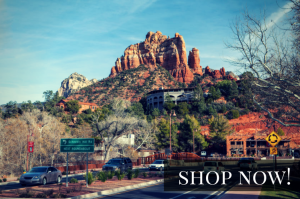 Visit us online to begin shopping, or call our Sedona, Arizona shop for assistance finding the particular item you are searching for.